« Freeport’s Outlets and Shops – Something for Everyone! Our website has long been a source of information on Freeport and Maine coast events, as well as about things to do near Freeport Maine, and along the Maine midcoast. We’ve just finished updating it with more events for this year, and there are over 30 events (and many are multiple day events) available for you to participate in, yet this year! Of course, one of the biggest is the all-year-long L.L. Bean 100th Anniversary, but its Hometown Celebration in its home of Freeport, Maine, is July 4-7, 2012. This includes the Fourth of July celebration, parade, fireworks, as well as activities during the day, and free concerts July 6. July 7 will have the largest fireworks display in Maine history. Throughout the summer there will be free concerts on select Saturday nights (the L.L. 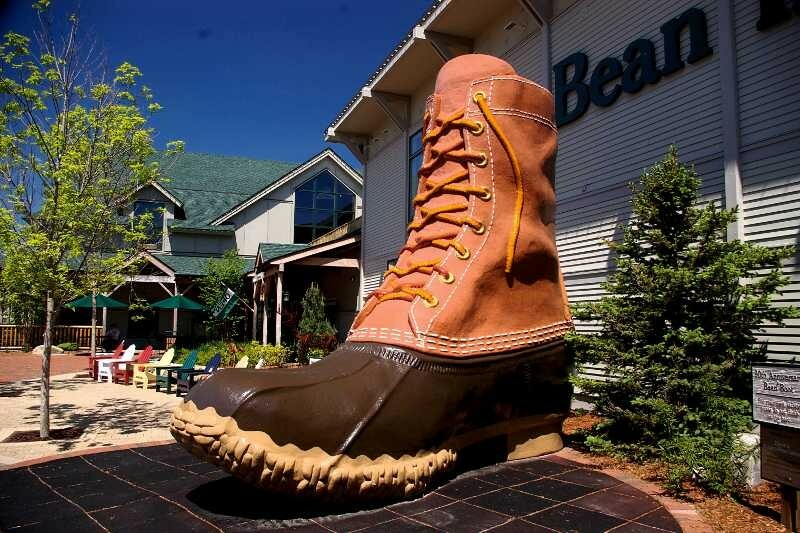 Bean Summer in the Park was formerly called the L.L.. Bean Summer Concert Series), as well as other activities for the entire family. In addition there are festivals galore! There is the Great Falls Balloon Festival, the Yarmouth Clam Festival, the Moxie Festival, the Maine Lobster Festival, the North Atlantic Blues Festival, the Freeport Fall in the Village Art and Music Festival, the Maine Highland Games, and more! We’ll also have the Lobsterman Triathlon, the Great State of Maine Airshow, the Maine Bike Rally, the Topsham Fair, plus local college Parents and Family weekends, homecoming, orientation, and more! Practically every week throughout the summer and fall there is something for everyone. Lest we forget, the winter months will also bring Freeport’s beloved Sparkle Weekend, with parade (of course!) and Santa riding into town on a lobster boat, L.L. Bean’s giant Christmas tree, the L.L. Bean New Year’s Celebration, and, as Spring rolls around, the annual Spa, Knit and Spin weekend.